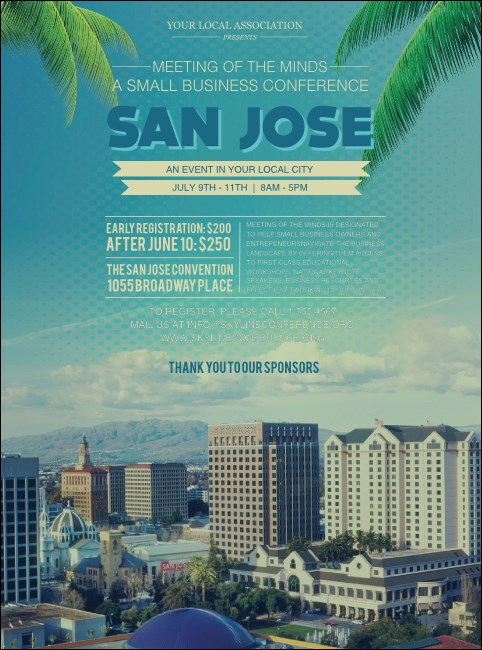 Make your pre-event promotions as bright as the Northern California sun when you print San Jose Flyers for your next event in S.J. Let your advertising flow like the Guadalupe River with Flyers that feature a lovely shot of the city’s skyline that overlooks The Tech Museum and Plaza de Cesar Chavez Park. TicketPrinting.com has the best pre-event promotions this side of the Bay!